As requested, please find the Collects for Year C – 2019. 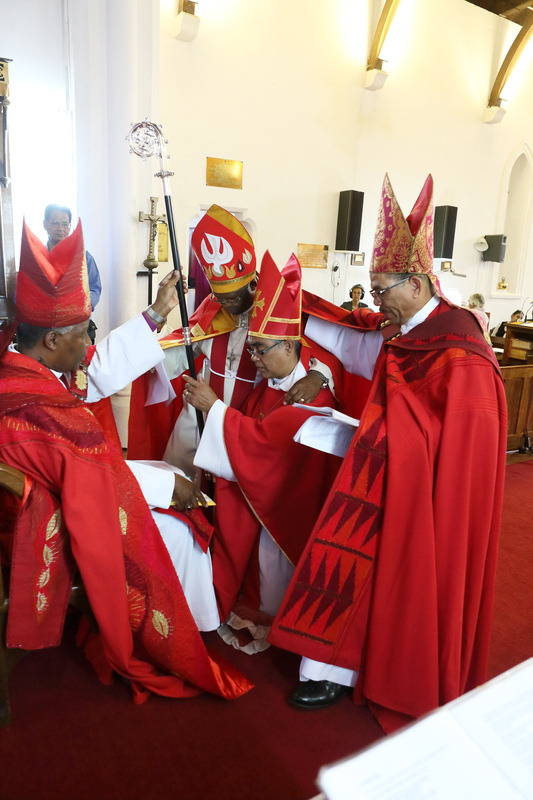 History was made on Sunday 11th November with the consecration and enthronement of Dale Bowers as the 16th Bishop of the island of St Helena. 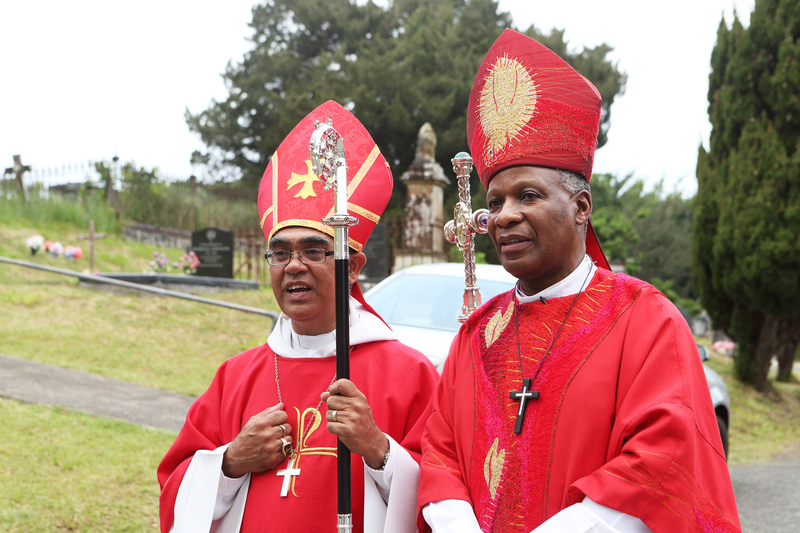 Archbishop Makgoba presided at the consecration. 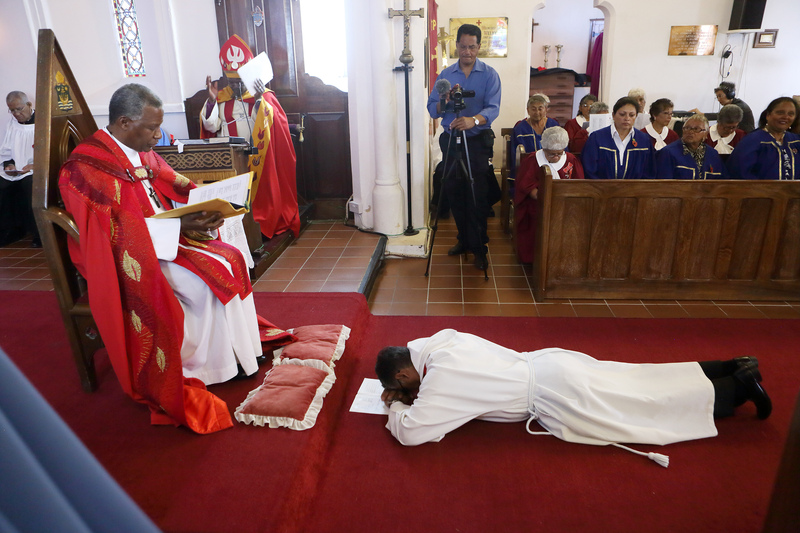 Dale is the second island-born bishop and it is believed this was the first consecration of a bishop on the island. 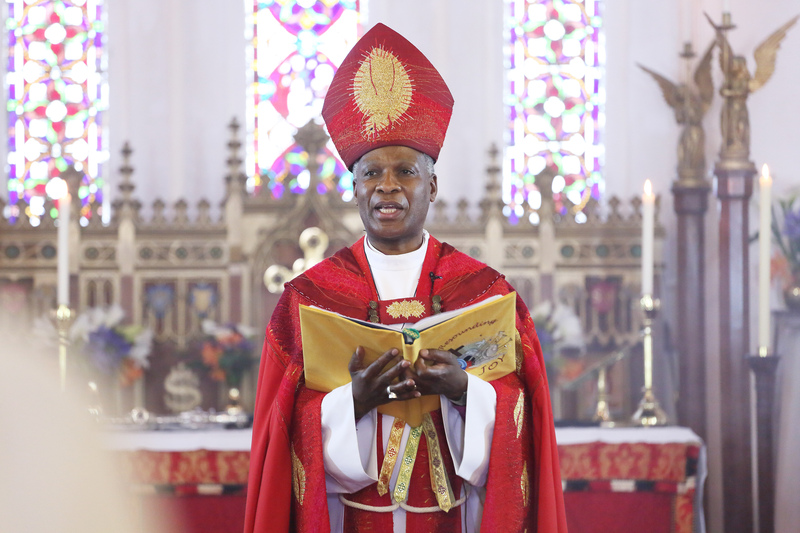 The ceremony took place at St Paul’s Cathedral and was led by the Most Revd Dr Thabo Cecil Makgoba, visiting Archbishop and Metropolitan of the Anglican Church of Southern Africa. 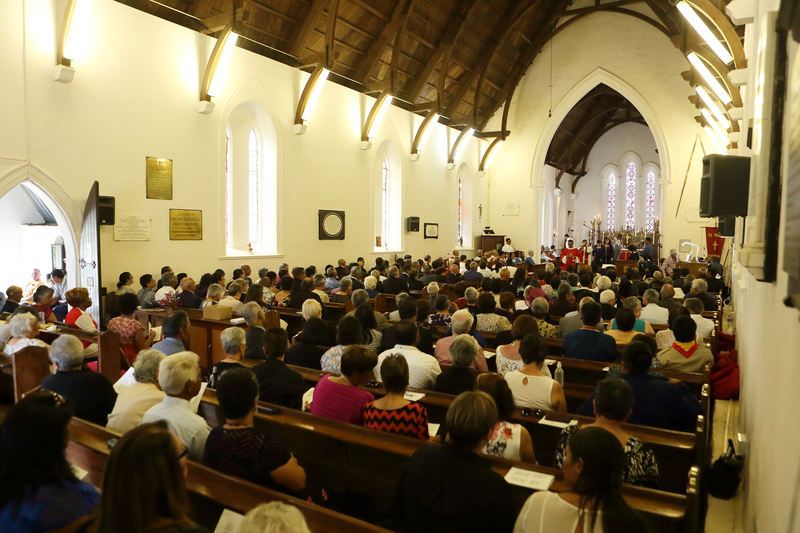 It was a colourful, memorable and for some, an emotional occasion that was broadcast live via radio to reach beyond the estimated congregation of 300. 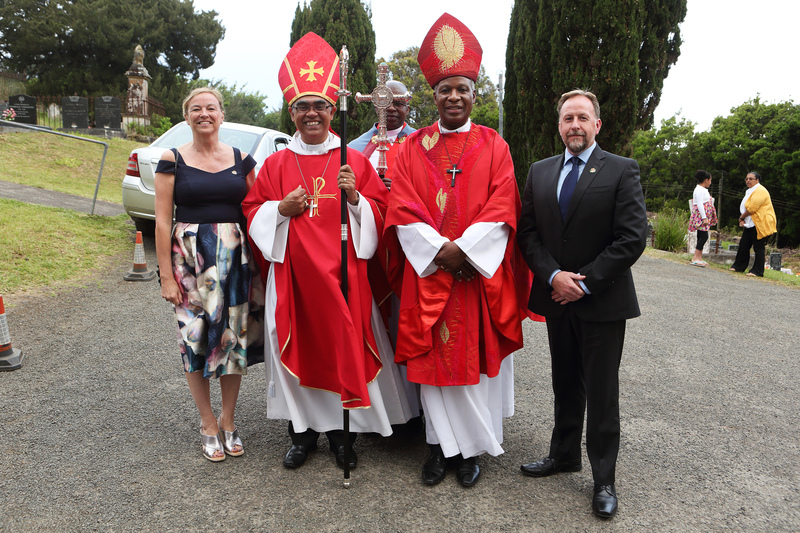 Bishop Dale’s sons, Jacob and Luke, attended the ceremony as acolytes and his wife Penny stood proudly at the front. 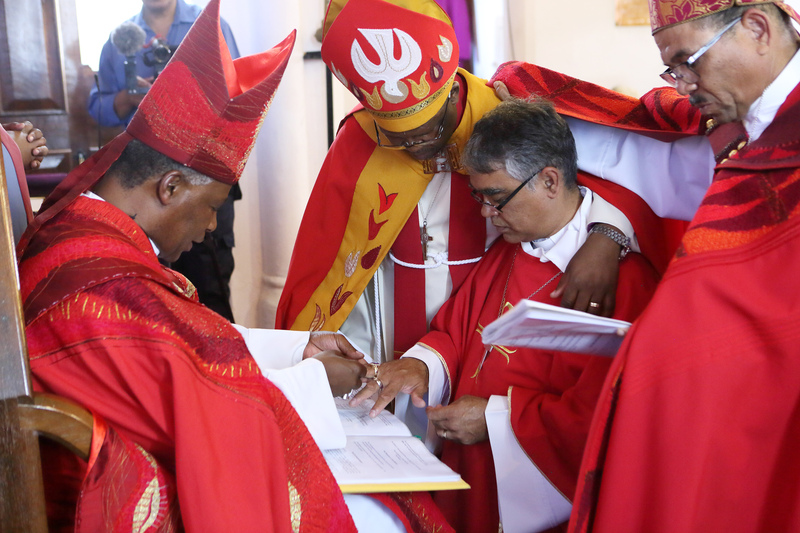 Accompanying Archbishop Thabo were the Rt Revd Stephen Molopi Diseko, Dean of the Province and Bishop of Matlosane, and the Rt Revd Allan John Kannemeyer, Bishop of Pretoria, along with the Revd Mcebisi Pinyana, the Archbishop’s chaplain, who all flew in from Johannesburg the previous day. 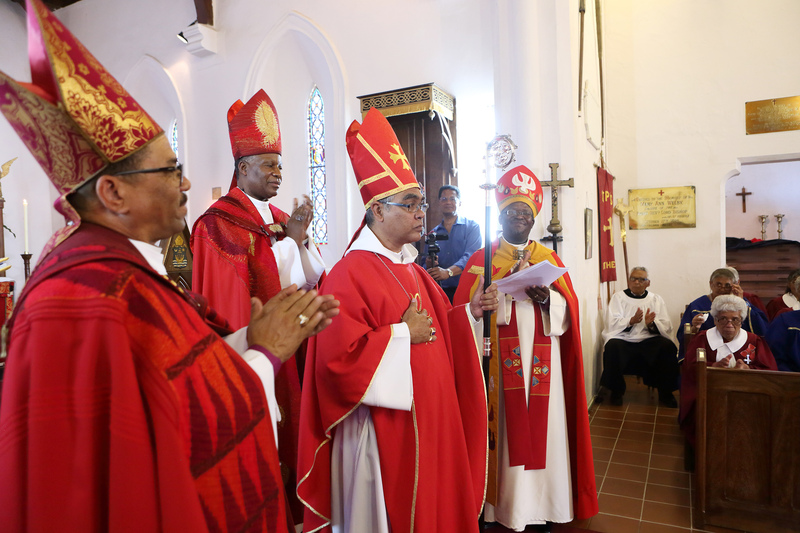 Once the consecration section of the service was done, Bishop Dale and the Procession left the cathedral via the vestry, and – following tradition for the enthronement – pounded his staff three times on the west door to request permission to enter the cathedral. 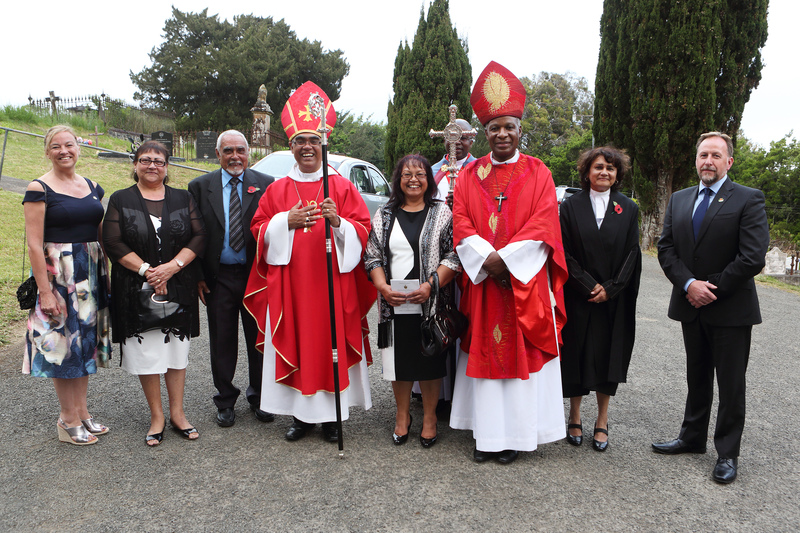 In an uplifting sermon Archbishop Thabo paid tribute to the 100th anniversary of the end of the First World War. 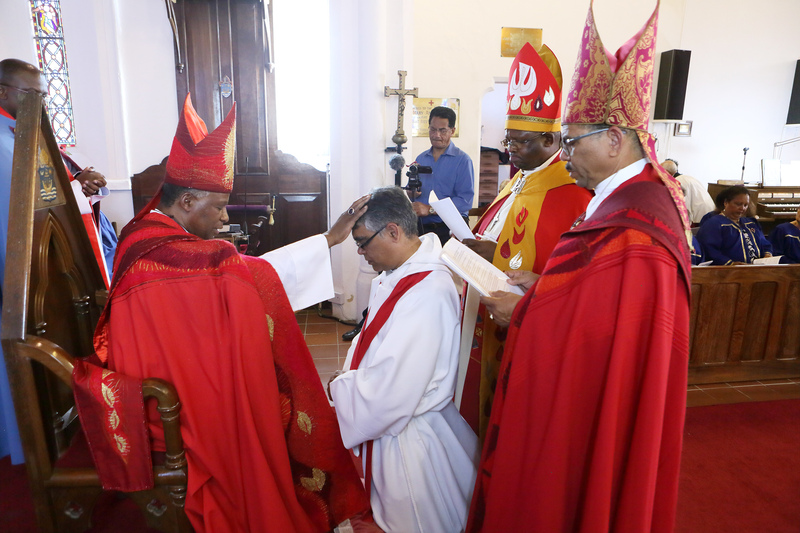 Partway through the service he spoke in four languages representative of the different provinces. 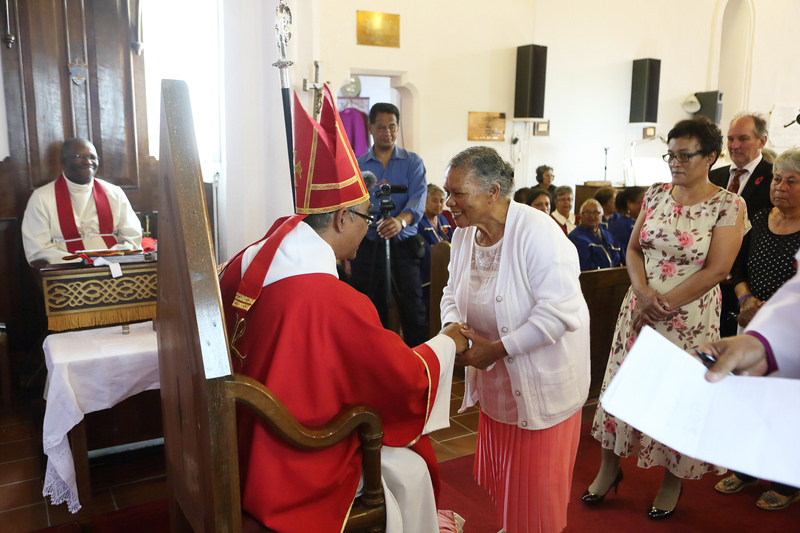 Bishop Dale previously served as vicar of the Jamestown Parish. 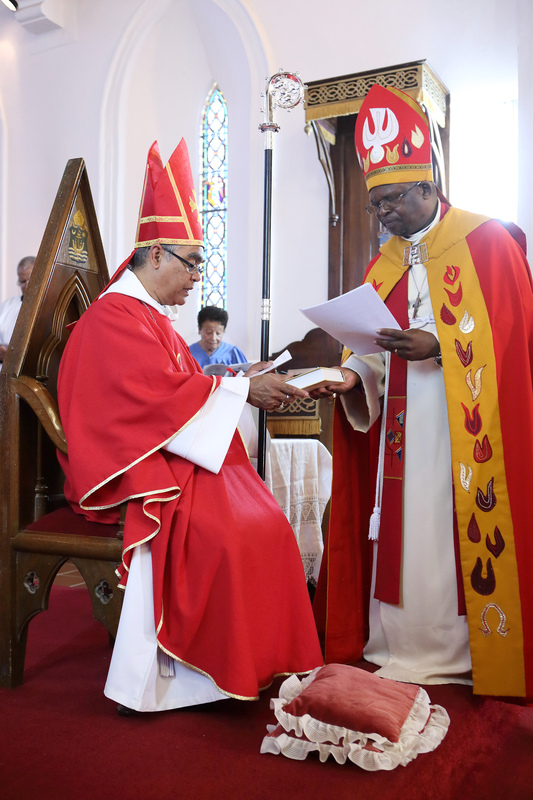 He replaces Bishop Richard Fenwick who retired in May this year. 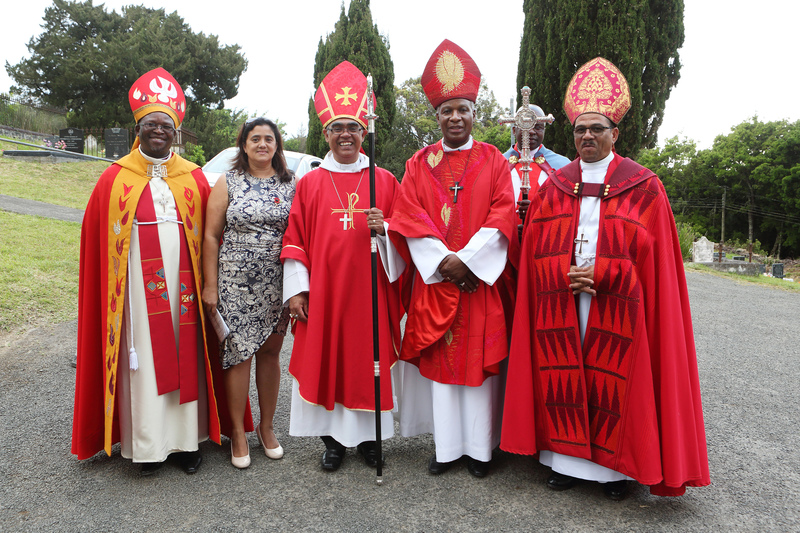 The Diocese of St Helena was founded in 1859 and is the 4th oldest diocese of the Anglican Church of Southern Africa.